This morning, my mother and I went over to the Niagara State National Park and took a boat ride around the Falls on the Maid of the Mist. 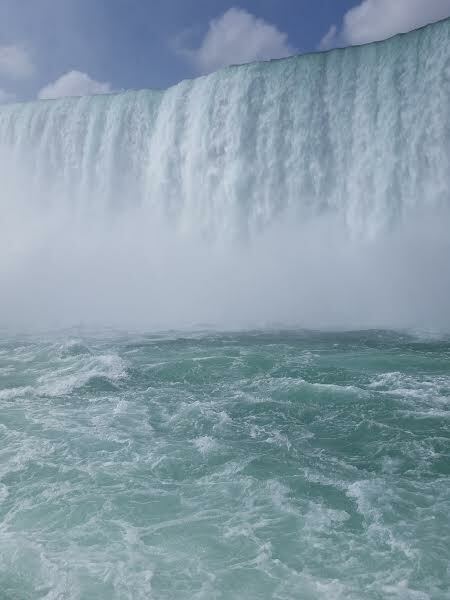 The picture above is one I took with my camera phone as we got pretty close to the Falls. After spending time at the Falls, we hopped in the car and drove the 4 1/2 hours to Albany, unpacked the car, unpacked luggage in our suite, and then went to dinner at Cracker Barrel. My mother is in love with their Sunday Chicken dinner ! We went grocery shopping and then I went to Staples to hunt down a portable hard drive that my film crew texted me to pick up to store the footage tomorrow. I am relaxing in the suite, eating fresh popped organic popcorn now and watching television. My film crew will be getting in around midnight and then I am going to sleep and getting up at 6 am to shower and get ready to head out to my 8 am arrival time at CNY Fertility and Spa. I am getting acupuncture prior to my 9:30 am retrieval. I plan to take it easy tomorrow once I am released. I got my Gatorade, brazil nuts and ground sirloin to make my burger tomorrow when I get in. I love that my hotel has a full kitchen in the suite ! They serve breakfast and dinner daily as well have a wine social in the evenings, but I am not to keen on tomorrow’s dinner menu of stuffed chicken, lol. So I will have a nice baked potato and a juicy steamed burger with cheddar and swiss. Wish me success tomorrow !! I am BLOATED ! I feel like someone injected my ovaries and abdomen with water. Its a weird sensation, but it does not hurt. I will update tomorrow after my procedure. 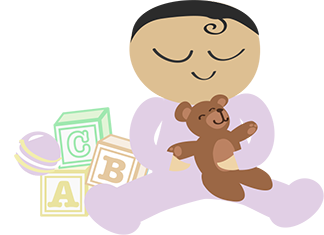 This entry was posted in Infertility, Single Mother By Choice. Bookmark the permalink. I’ll be saying many prayers for you. Good luck!